Moving fields most of the time is an easy thing to do, as the sheep are keen to move onto fresh grass. Only when you have to move them through a wild grass herb meadow to get to the new field do the sheep at the back of the flock enjoy browsing red clover sweetness and forget to keep up. 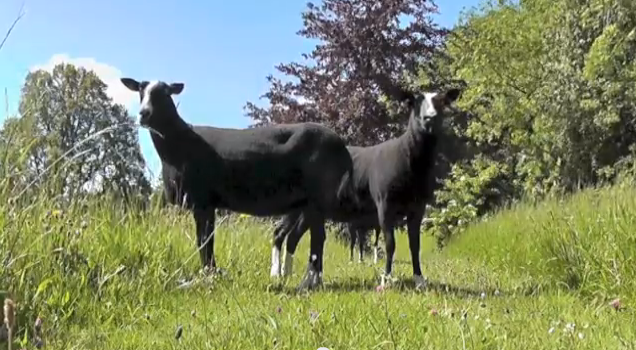 In the second half of this short film I left a video camera on a log letting the sheep show off in front of the camera with out me there. I pass by calling and leading most of them into the yard while the stragglers enjoy browsing the herbs and long grasses.